Five women were found lying facedown in the lobby of a SunTrust bank in Sebring, Fla., with gunshot wounds to their heads and backs, according to a police report. "Zephen Allen Xaver knowingly and intentionally took the lives of five of our fellow community members," Sebring police Chief Karl Hoglund said at a Thursday news conference. Fighting back tears, he said the town was mourning the loss of "our sisters, our mothers, our daughters and our coworkers." "Perhaps most unfortunate is that now we refer to them as victims of a senseless crime," Hoglund said. The victims were found lying facedown in the lobby with gunshot wounds to their heads and backs, according to a police report. Officials said a 65-year-old customer named Cynthia Lee Watson was killed in the attack, along with SunTrust bank employees Marisol Lopez, 55, and Jessica Montague, 31. Ana Piñon-Williams, a 38-year-old mother of seven who worked at the bank, also died, according to her brother-in-law, Tim Williams. "Her life was truly a light in this world," Williams said at a news conference Thursday afternoon. "She made it a better place." The name of the fifth victim has not been released, at her family's request. The police chief said authorities believe the shooting was "a random act" and that it didn't appear Xaver intended to rob the bank. However, he said police have "no information as to what his true motive may have been." 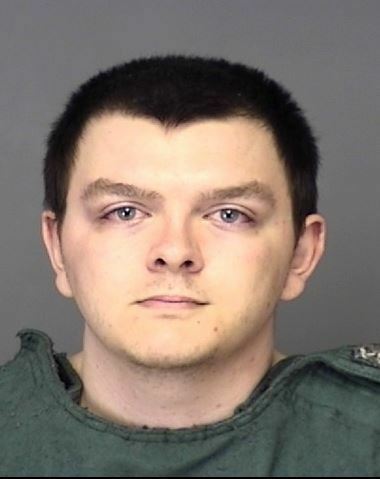 Zephen Allen Xaver, 21, was charged with five counts of first-degree murder after allegedly killing five women in a Sebring, Fla., SunTrust bank. Xaver and his mother moved from Indiana to Florida last fall, according to news reports. In an interview with Indiana TV station WSBT, a woman who said she is Xaver's ex-girlfriend described him as "fascinated with death and guns." "For some reason [he] always hated people and wanted everyone to die," Alex Gerlach told the station. "He got kicked out of school for having a dream that he killed everybody in his class." Josh Xaver, who told CNN that he is the suspect's father, called the news a "total shock." "He wasn't raised to be like this. He's always been a good kid," Xaver said. "He's had his troubles, but he has never hurt anyone ever before." As NPR has reported, Zephen Xaver was an online student of Utah-based Stevens-Henager College from September until December 2018, when he withdrew. He was also a trainee prison guard between Nov. 2 and Jan. 9 when he resigned, according to Florida Department of Corrections records cited by The Associated Press. Sebring Mayor John Shoop said in a statement that the killings weigh heavily on the central Florida town, which has about 10,000 year-round residents. "We are a small, close-knit county. We live in a wonderful area and tragedies like this are not supposed to happen here," Shoop wrote. "The world continues to change however, and events take place that simply have no explanation." Hoglund said investigators are reviewing surveillance video from the bank. At 12:37 p.m. 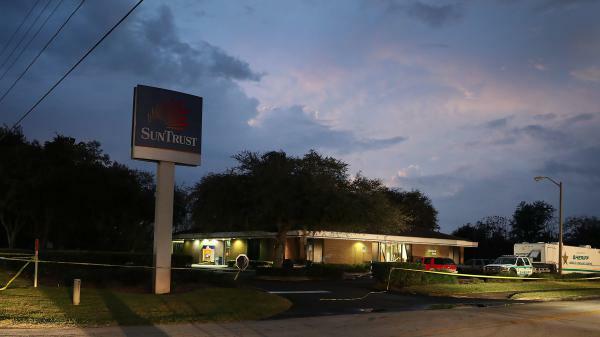 ET on Wednesday, police and Highlands County sheriff's deputies responded to the SunTrust bank branch after a man called police dispatchers and said: "I have shot five people," the Sebring Police Department said on Facebook. They negotiated with the caller, trying to get him to leave the bank and surrender. After more than an hour, a SWAT team from the sheriff's department entered the building, which had been locked. Xaver, who was wearing a bulletproof vest and armed with a 9 mm handgun, was taken into custody, according to the police report. All five victims were dead by the time the SWAT officers reached them, Hoglund said Thursday. Another bank employee, who was in a break room and heard the shots, escaped through a backdoor, according to the sheriff's office. A SunTrust spokesperson confirmed to NPR that Lopez was one of its employees but didn't provide details about her role at the bank. "We are deeply saddened by the tragic shooting at our Sebring, Florida branch this afternoon. We are working with officials and dedicating ourselves to fully addressing the needs of all the individuals and families involved," SunTrust CEO Bill Rogers said in a statement released Wednesday. "I have been in law enforcement all of my adult life and this horrific incident shocks and angers me more than anything I have encountered in my career," Highlands County Sheriff Paul Blackman wrote in the Facebook post. Wednesday's attack is reportedly Florida's seventh mass shooting in less than three years. In November, a gunman killed two women and injured five others at a Tallahassee yoga studio.